Coeliac disease is a serious condition, caused by a reaction to gluten. The lifelong autoimmune disease affects 1 in 100 people and can cause a variety of different signs and symptoms, ranging from mild to severe. Coeliac disease is treatable through a gluten free diet, so if you’re suffering from any of these symptoms make sure you speak to your doctor as soon as you can. Here are the signs and symptoms of coeliac disease in adults to look out for if you think you, or a family member, may be suffering from coeliac disease. It’s normal to get diarrhoea from time to time, but if a person is regularly experiencing this complaint then it’s possible that coeliac disease could be the culprit. Usually experienced with the typical bloating that coeliacs will suffer with, this unpleasant symptom is a well-known problem caused by celiac disease. Research has shown that 15% of coeliac patients experience constipation rather than diarrhoea. This symptom of celiac disease can reduce a person’s ability to eliminate toxins from the body, and cause pain and fatigue. The inflammation of the small intestine caused by celiac disease can lead to nausea and vomiting, as the intestine struggles to absorb nutrients. Those with undiagnosed celiac disease typically suffer from deficiencies such as iron deficiency, vitamin B12 and folic acid deficiencies, as their bodies are unable to absorb the vitamins and minerals in their food. Vitamin deficiencies often lead to anaemia, due to malabsorption. This can cause a person to feel tired, fatigued or weak, and can also present in a shortness of breath. Along with the intestines, coeliac disease also attacks other soft tissues in the body, and that includes the mouth. Mouth ulcers are a well known symptom, linked to deficiencies in vitamins and minerals. Tooth enamel problems may also be present in sufferers. Coeliac disease can damage a patient’s hair. The damage can be mild, causing thin, limp hair, or more severe, even leading to alopecia. It’s all down to the nutritional deficiencies a sufferer will have. Dermatitis herpetiformis is an immediately recognisable skin rash caused by coeliac disease. The rash affects around 1 in 3,300 people and causes red, raised patches on the skin, severe itching and stinging. It may surprise you to learn that coeliac disease can also be linked to psychological symptoms, the main one being depression. This can be a serious symptom of coeliac disease, which should be treated as soon as possible. Many coeliac disease patients suffer from liver problems, which can range from fatty liver disease to severe liver failure. Celiac complications can lead to nerve conditions, which include Ataxia, which is a loss of coordination and poor balance, and peripheral neuropathy, a condition which causes numbness and tingling in the hands and feet of sufferers. As coeliac disease causes a wide range of different symptoms, and sufferers may present with just one, a few, or many of these symptoms at any one time, it is possible that other conditions can be mistaken for celiac disease. Typical celiac disease symptoms may be caused by less serious problems, such as irritable bowel syndrome, gluten or wheat intolerance or even stress. 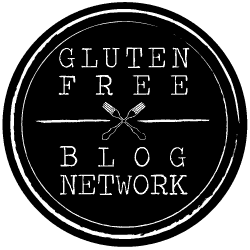 Are you suffering from celiac disease symptoms? If you are worried that you’re struggling with any of the symptoms we’ve mentioned and think you might have coeliac disease, make sure you speak to your doctor as soon as you can. And remember, if you are diagnosed with celiac disease, it’s not the end of the world! Just check out some of our amazing gluten-free destinations to see where you could be enjoying delicious gluten free food.